Now before you grab your tin foil hats, let me start by saying this is all pure speculation. However, recently I’ve noticed some interesting parallels between the recent fortunes of the diamond industry and that of the gambling industry. 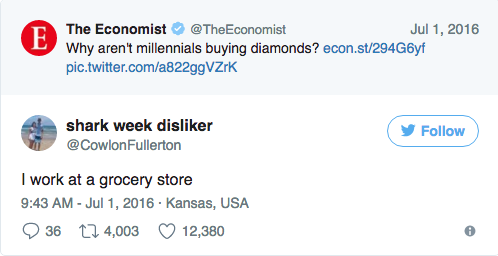 I’m sure at least some of you have seen or read the click-baiting articles pushed out by the likes of buzzfeed, which have titles such as “Are millennials destroying the diamond industry?” and “Will millennials bother buying engagement rings?”. Well, if we look past the rather hollow attempts by such media outlets to generate article clicks, there is a genuine pattern to be seen. Millennials are undoubtedly disrupting many established industries. Not necessarily through any conscious act of rebellion but more out of force of circumstance and an increasing global consciousness. Thanks to the online world, the flaws of companies or industries have never been more exposed. This has led to the younger generation starting to change the habits which have been ingrained for generations. Why buy an over-priced piece of compressed carbon, when you can barely afford to move out of your parents’ house? We’re going to avoid the darker side of the Diamond industry – whilst it undoubtedly influences people’s decisions, it is far too deep a topic for such a blog. However, it must be kept in mind when we look at how this all parallels to the gambling industry. For you see, click-bait articles aside, there is truth to this. The Diamond industry has taken significant hits, sales are way down – particularly among the younger generation. To many, the idea of ‘having’ to put a diamond on someone’s finger to show your love for them is becoming increasingly ridiculous. So why are Diamond companies feeling the pinch of this generational shift in attitude but yet the bookies continue to get away with it? Well, the answer is fairly simple, the older generation can still bet, but most are already married. However, if bookmakers do not wake up to this coming storm, they will quickly find out just how devastating not moving with the times can be. The rise of matched betting is no mere coincidence. As people wise up to the under-handed tactics the bookmakers employ to fuel addiction, the quicker it turns off a whole generation whom are internet/online savvy. Bookmakers have not done as good a job as they think in creating the next wave of gamblers. 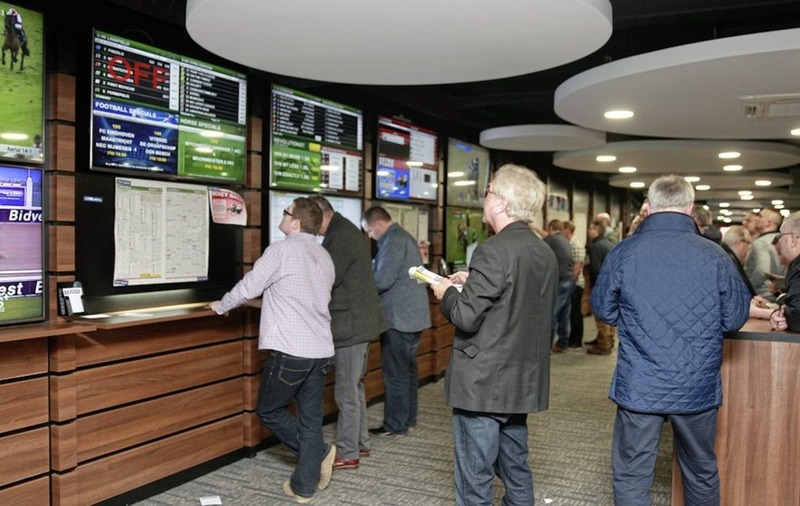 Look in the window of any high street bookmaker – you won’t see twenty somethings getting a quick punt in before a night out, no, instead you’ll see men age 40+ who clearly have not understood or chosen to ignore just how rigged this game is. 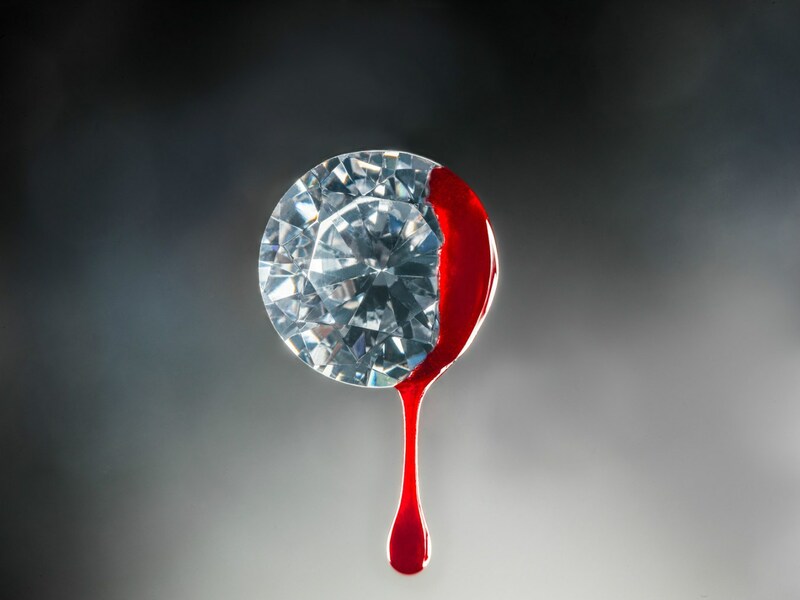 What really hurt the diamond industry was negative press, a relentless wave of media pressure on blood diamonds and other horrendous stories. This, combined with the first completely ‘online’ generation with all the information they need at their finger tips has hit the diamond industry like a brick wall. It is this same increasing volume of negative press that is starting to hit the gambling industry. Not a day goes by where there is not an article in a major news outlet about the predatory tactics of Bookmakers. This will come to a climax when the bookmakers start losing the older generation, when people stop visiting their shops and when customers for online casinos start drying up. The new generation will look for the margins, each way sniping, matched betting and any way they can find that turns the tables on the gambling industry. It is already happening and it will only continue to grow in its intensity. Currently, the bookmaker’s tactic is to paint sites like Heads&Heads as the villains, taking advantage of the bookmaker’s goodwill. The longer they persist with that illogical PR trajectory, the worse their fall will be. The question is, how do bookmakers avoid a slump like the Diamond industry has faced with this new generation? Well, fighting against matched bettors is not working. A drastic overhaul is needed and not a superficial one either. Bookmakers must learn how to work with this new generation of online earners. The simple fact is, we will both soon need each other in order to survive. Frankly, I’d love to work with the bookmakers to protect my members and see how we can make it beneficial for everyone. I’m more than confident that there is a way to do this – seeing each other as enemies is not productive. However, I fear that it will take a substantial blow to the bookmakers’ profits before they ever consider this future.